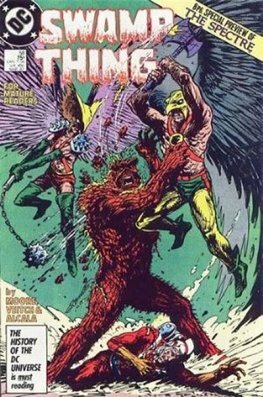 Swamp Thing, a fictional character, is a humanoid/plant creature elemental in the DC Comics Universe, created by writer Len Wein and artist Berni Wrightson. 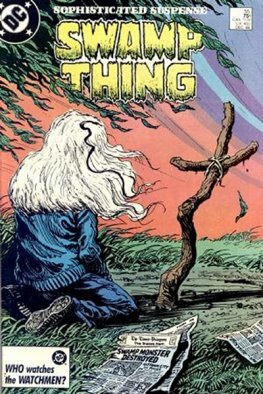 Swamp Thing has had several humanoid or monster incarnations, depending on various story lines. He first appeared in House of Secrets #92 (July 1971) in a stand-alone horror story set in the early 20th century. The character then returned in a solo series, set in the contemporary world and in the general DC continuity. The character is a humanoid mass of vegetable matter who fights to protect his swamp home, the environment in general, and humanity from various supernatural or terrorist threats. The character found perhaps his greatest popularity during the 1980s and early 1990s. 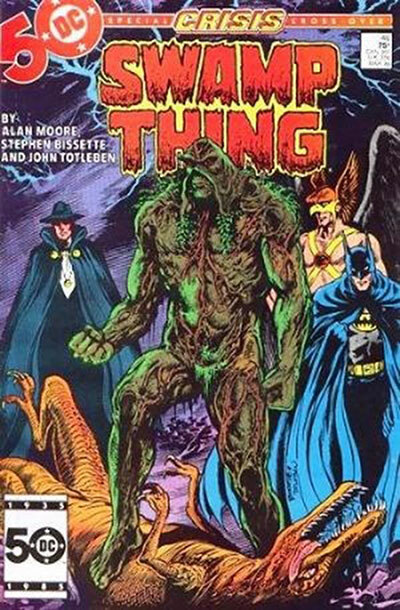 Outside of an extensive comic book history, the Swamp Thing property has inspired two theatrical films, a live-action television series, and a five-part animated series, among other media.